Next Ricky Gervais: Are You Sure Fundamentalist Christianity is Evil? Nearly everywhere I go I take issue. 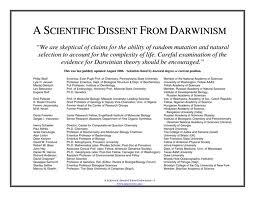 Okay, the public has not been “assured” about the theory of evolution – all of the evidence is out there. You can go an look at it. It’s in museum, science books, The Greatest Show on Earth – Prof. Dawkins, oh and nature. You can actually go and see it. It has happened on occasion, in cases of extreme cases, happened to macro-organisms in a human life time. It happens in microbiology over the period of weeks. No sincere biologists doubt evolution. And here’s the issue. Cosmologists can still be deeply religious. They don’t have to know a damned thing about biology to become a leading expert in their field. That is why we shouldn’t trust their blind assertions outside their areas of expertise. Even microbiologists don’t have too look at the evidence for evolution. They can say a cell is complicated beyond compare all they like, but as soon as they say it raises big doubts about evolution they better have some relevant credentials. If you look at the “debate” there are bunch of people who know very little about the issue claiming that there area of expertise seems to raise some questions. Then biologists have masses of genetic, fossil and organic and observational evidence – it has been observed in real time. Here’s my advise on the issue of evolution – read The Greatest Show on Earth by Richard Dawkins. It’s not the most comprehensive read on the issue, but it’s perhaps the most accessible. If you feel you (or any scientists you are in contact with) can rebut the evidence he presents let me know. But if you look in google scholar there is no “controversy”. Like I said, you can do this research yourself. Where can I see the evolutionary process right before my very eyes? Of course you know that mutations (such as those seen in bacteria) or variations (such as those seen in Grant’s finches) are not truly considered evolution since there is no evidence that those changes within the species will ever lead to any type of a more complex or higher species. This is a requirement of evolution, whether it occurs slowly or by “punctuated equilibrium.” Bacteria remain bacteria and finches remain finches, and there’s nothing in the fossil record to lead us to believe it has ever been otherwise. If evidence is what the skeptic requires, where is the evidence in the fossil record that you believe is proof of evolution? Where are the intermediate species required by the evolutionary tree of life? Perhaps the evolutionists are as adept at telling stories as the creationists! I know my answer will probably seem simplistic to you, but perhaps you could indulge me — the stupid creationist. Well, you’re talking about the missing link. The missing link between what two species? What is so hard to believe about the Australopithecines (like Australopithecus afarensis) becoming the Homos (like Homo habilis or Homo ergaster). The gradient is clearly laid out in time, phenotypes and geography. Okay, taxonomy kind of fleshes out the continuum to look like steps – but it is a continuum. Speciation, as much as creationists seem to hate it, has been observed. Now, I know continuing this conversation will inevitably lead to use of the word “kinds”. I’ve tried to engage with that word before, and let me give you this assurance: it is not meaningful; it has no genetic meaning; it is flexible to continue grouping species together and calling them one kind, and excluding others as a different kind and this distinction was clear and evident. For example, how many “kinds” of cat were on the Ark? If you say one (as Kent Hovind does – felines are one kind, like Canines are one kind; grouping all dogs with wolves) then you encounter the unavoidable problem that speciation must have happened. As for where you can see the evidence, the Adriatic Lizard is a particularly good one. There is a fantastic experiment that details the evolution of E. coli, carried out by a team headed by Richard Lenski. What does it show? It shows 12 population of E. coli all developing better ways of metabolising glucose after being put in glucose-limited environment. The randomness of genetics comes across, as populations have slightly different genetic pathways to better metabolise glucose – but the non-randomness of natural selection also plays out as they all increase their glucose metabolisis at about the same rate. up to a point, where one population suddenly explodes its metabolism. Evolution must insist that life began with one type of creature or cell and then CHANGE into something else. There is no evidence in the fossil record that this ever occurred. The different life forms seemed to have exploded on the scene all at once. There is no EVIDENCE for any other view. There are a lot of stories being told about what happened, but no real EVIDENCE. My daughter is a freshman in college and her anthropology book shows pictures of creatures like Lucy, Piltdown Man, Nebraska Man, etc . . . on the cover of her textbook as though these creatures are the truth. Yet, most of these have been shown to be hoaxes and those that haven’t been proven to be are questionable also, since they were created by artists who imagined what they might look like out of a few bones. Are you saying that the cover of her text is true, or was it created out of somebody’s imagination? Perhaps atheists/evolutionists, who claim that religion was created out of the human imagination, are just as guilty of creating stories as they think religious people are. Do you think it’s fair for universities to teach the missing links as FACTS when there is no real EVIDENCE? I think this is abusive. In the name of science they are being taught something that has no EVIDENCE to back it up. Yet evolutionists insist that creationists are absolutely ignorant. They insist that they are the ones with EVIDENCE, but their great EVIDENCE is usually disproven in time as being unworkable (such as evolution and RNA) or even outright hoaxes! And yet evolutionists claim that creationists don’t function in the observable universe? There are only two options availabe. We were designed or created by something outside of our planet or we somehow sprung forth from this planet. What does the EVIDENCE point to? Why is it so difficult to accept that the truth may be something other than a naturalistic explanation? Just because it can’t be explained naturalistically doesn’t mean it’s not the truth. Who says that truth can only be known by what we can see? We can’t see gravity, but we know it exists because of the EVIDENCE around us. We don’t see a creator, but can’t we know he exists because of the EVIDENCE around us? Why does all the EVIDENCE around us support my view rather than yours? You’re absolutely right, we’re not going to resolve this here. But thank you for engaging with me thus far. Let me first say that I am a university graduate, and although I took BSc Geography and Environmental Management (hons) I took two separate modules that dealt directly with evolution: human evolution and paleo-archaeology. So it is worth pointing out that I didn’t deal with a single skeleton that I couldn’t then go see in a museum (and – if virtual tours count – I have seen them all). Details like there the gait of the species are estimates based on what we currently know from skeletal locomotives, but details like how much fur they had are a guess. But the skeletons are not. Geography being my particular area of focus, let me also say that creationism (and let me thank you for not playing the semantics game and calling is ‘Intelligent Design’) has no explanatory power of geographic species distribution. Using Biblical Creationism in particular, it has no explanatory power over why all the Penguins waddled south after noah’s arc – not one straggler and not one death; why all the lemurs went to Madagascar – not one straggler not one death… and it goes on like this. It also doesn’t explain why a dolphin is better described as a mammal that adapted for the water, compared to a fish that ‘appears’ designed for the water. Why did a fish get a good design, and dolphin get a poor one? There is also a big question over why the fossil derived family tree of species is in massive agreement with the phylogenetic family tree of species – both of which are in agreement with the (slightly woolier) distribution based family tree of species. On the Creationists model, as far as I can see, this is just deception. However, on my model, it shows that the evidence for evolution is not confined just to the fossil record. Incidentally, this is a question that can be (and is) answered by naturalistic means. Evolution. Last point is this: science works as a method falsification. There would be huge fame and money and notoriety to come alongside genuine and robust falsification of evolution. Despite this incentive, no such thing has come froward. How’s this, as a final series of questions: how, on the creationist model do you explain quasi-functional organs like the appendix and the tonsils? Or apparent bad design, like the laryngeal nerve of a giraffe? Or just plain waste like the pelvis of a whale or the legs of a snake? What about detrimental function, like wisdom teeth – human dentistry in general? Perhaps scientists just haven’t been able to keep up with God. In regards to your comment on geographic species distribution, I’ve given some thought to what you said and I’d like to respond. First of all, you say that plate tectonics can account for the evidence I would say points to evidence for a worldwide flood. Yet I have another piece of evidence that I think needs to be brought into the picture. That would be the numerous flood stories. In nearly every culture and every part of the world there are stories/myths of catastrophic floods. Many of them talk about a boat with animals! If I say a flood and you say tectonics, what would tip the scales one way or the other? Testimonies! All around the world are the testimonies (living on as myths now) of a worldwide flood. The “Epic of Gilgamesh” is just one example of an ancient flood story. Isn’t it amazing how the story found in the Bible is always corroborated by physical evidence? The Bible says that the Ark rested on Mt. Ararat and the people came down from the mountain. Eventually they attempted to build a civilization with a city and a tower. But God wasn’t pleased with their efforts and scattered them around the world with different languages. As they went out, would it be so far-fetched that they would carry the flood history with them? Of course, like a game of telephone, the stories would get distorted over time, but they would still contain the central message of a flood. If humans could be redistributed throughout the world after the flood, why would it have been so difficult for animals to be redistributed? They could travel so far and the next generation could go a little further and so on. Stories of the flood are extensive. But so are stories akin and analogous to (and pre-dating) the story of Jesus. I imagine those “testimonies” are pretty meaningless to you… Also, no one was around to experience the flood to start the stories, except Noah’s family. In fact, nearly all (not all, but nearly) of these stories originate from Mesopotamia – where the Euphrates and Tigris river meet. As for the species being distributed one generation at a time… there would be penguin skeletons on Mt Ararat. But there aren’t. All the species had to make the respective journeys in one generation. I have a post called “Noah’s global flood flood: it simply couldn’t happen” (allalltor.wordpress.com/2012/01/17/noahs-global-flood-it-simply-couldnt-happen/) and there’s a two part video on Youtube that asks what exactly Noah had to do (http://www.youtube.com/watch?v=j_BzWUuZN5w). As for the evidence for tectonics… well, you can look that up whenever you like. It’s quite massive. As for changing species, I don’t know what you expect to see. But I’ve seen exactly what I’d expect: a line of species that exist non-simultaneously that how phenotype progression in line with their respective dates. Each one – thanks to the flaws of the discipline of taxonomy – is treated as a different species, but the progression is clear. For example, you’re looking for something that is half Lucy (Australopithecus afarensis) and half half human (Homo sapien). Well, it exists. It is dated to between the dates of Lucy and of humans, and it sits (according to taxonomists – whose job it is to define such things) right between the Homo order and the Australopithecus order. It is called Homo habilis (or Australopithecus habilis – part of the issue with taxonomy). Yes, the “missing link”, or “intermediate” species has its own unique name. But that is because each intermediate is also a species in its own right. First of all, entropy is applicable to all systems! Are there any exceptions in the definition? The claim that a constant energy supply is all that is needed to create order is like saying a lit fire in my fireplace will clean up my living room. There has to be directed energy to stop the disorder or dissipation. I would need to get up and clean. An intelligent mechanism is needed to stop the tendency towards disorder. For example, just because the body takes in food doesn’t mean that you can put it in any outlet (eye, ear, nose, etc…) and it will produce energy. It must go through the proper mechanism (the mouth) in order to become productive. Now scientists are realizing how unbelievably complex even a “simple” cell is. They are like little cities! It’s not as though the sun’s energy hit the right random chemical(s) and suddenly complexity appeared! There needed to be a mechanism! DNA and RNA are found in every living cell. How did they get there from a general source of energy such as the sun? The mutualism of DNA and RNA is like the mutualism of male and female. How did they evolve separate from one another and still allow the living cell to continue to exist over eaons of time? These, and many more, are questions that biologists are trying to grapple with. They’ve been at it for over a century now and still have not reproduced life in a lab (regardless of what many may claim about the Miller/Urey experiment), have not found the fossil record to be supportive of their views, have had to resort to story-telling in many instances, and have not been able to find any evidence for transitional species. Evolutionists have a dirty little secret and that is this: There’s no EVIDENCE for it. They keep trying, but all their attempts keep failing and the story is constantly changing. If it was truth, wouldn’t there be an abundance of EVIDENCE all around us? I don’t just mean in the fossil record, I also mean in the laws of the universe (wouldn’t they fit in with the laws of entropy and biogenesis? ), the ability to replicate it experimentally, and just common sense concerning the complexity and mutualism of living things? Finally, I understand your point about intermediate species! But I don’t think what you believe in exists as you think they do. What does exist are a series of bone fragments and pictures that have been imagined by artists and illustrators. I once saw a model of Lucy at a Michigan State University museum. It was treated as the missing link between humans and primates. Now Lucy has been eclipsed by “Ardi” whose discovery is so monumental that she even disproves that there is a missing link! The Scopes Trial was an example of the abuse of bone fragments being used to trumpet the evolutionary cause. Henry Osborne, of the American Museum of Natural History, used the press to discredit Bryan by parading about the so-called “Nebraska Man.” Of course, Nebraska Man was a hoax. Evolutionists had created an entire missing link out of the tooth of a pig! To this day, movies like “Inherit the Wind” make Bryan look like a mad man and Darrow look like the reasonable man. But the truth is this — Bryan was right! Nebraska Man wasn’t true! But the Piltdown Man was proven to be a hoax in 1953! It was found to be a hybrid creation out of a few bone fragments from a South American indian and an East Indian orangutan. And now I’m supposed to believe that the latest evolutionary finds are trustworthy! “The remains include a jawbone with teeth, hand bones and foot bones, fragments of arms, and a piece of collarbone. But most important, the bones also included a single toe bone. Its form provides strong evidence that the pre-human creatures walked upright, the scientists said. What they fail to mention is that the toe bone that was so important was found 10 miles away from the rest of the bones! I hate being offensive, but I’m afraid that if you want to continue this conversation on scientific grounds you are going to have to do some research: entropy only applies to closed systems. Systems that have an energy source do not fall to entropy. That is why we have self contained nuclear fusion: the sun. That is why we have cosmic evolution: spiralling, ordered (more or less) galaxies. The energy source – in case you are wondering – for these examples is gravity. The same is true of our global system. There is a constant energy supply and that fuels photosynthesis. Photosynthesis is the primary way in which energy enters biological creatures – and the way in which we stave off ‘uphill’ (endothermic) chemical reactions. Your questions, incidentally, that you think are regarding evolution, are not. Questions about DNA and RNA and the complexity of the first cell are questions of abiogenesis. If you want to God’s hand in abiogenesis, I have no scientific data to stop you (none to back you up either, but apparently that’s besides the point). I can’t find any thing on the ‘Problematica’ species. Anything you’ve got on it would help. When it comes to Ardi I think you’re misunderstanding. The popular science-search is to look for the earliest species that belongs on the same evolutionary branch as us, after our common ancestor with Chimps. That’s simply a media-based popularity thing – Ardi does not prove Lucy ‘wrong’ or ‘a hoax’. Ardi simply pre-dates Lucy. There’s not contradiction there. As for evidence, I’ve already offered you some: biogeographic distribution, phylogenetic tree, it’s observed in bacteria in our life time, speciation has been observed in Adriatic lazards and many types of insects. As for missing links – I’ll ask again – between what two species? I’ve asked you that more than once, and I offered you a load. You say you get my point, but you’re repeating yours without acknowledging my request. It seems to me you have closed your ears to the evidence. But, as we’re talking evidence, evidence for Creationism? Is there any? The problematica is not a species, it’s a number of species that are categorized as “problematica” because they can’t be categorized. I think you would agree that evolutionists have been looking for a missing link between humans and primates. Hence Lucy and Ardis and Nebraska Man and Piltdown Man, et. al . . . .
I’m not sure why you insist that I answer your question about the missing links. I understand the evolutionary tree of life. Do you understand why I would point to “problematica” species as a concern for your position? Again, just because species adapt doesn’t mean they will change to a different species. The lizard remains the lizard and bacteria remain bacteria. I understand that long periods of time are needed for macro-evolution to occur, but that doesn’t allow the evolutionist to offer much up in the way of EVIDENCE. How do you know what the prebiotic environment was like? And I find it interesting that your organic material (in the video) came from the heavens (space). This is Dawkins’ position, isn’t it? I also think it’s disingenuous for evolutionists to separate evolution from biogenesis. The origin of life question is absolutely bound up with the evolutionary question! They can’t really be separated for atheists. Some Christians often try to separate them by saying God created and then evolution took over, but for an avowed atheist I can’t see that as an option (for obvious reasons). Why would you want to separate them? They’re 2 different events, but both of them must involve a process that doesn’t include God’s design or life-giving power. It seems that the law of biogenesis discounts theories on the origin of life, and the second law of thermodynamics discounts the theory of evolution. Although I know you’ll disagree with me on this. Without being too wordy or scientific, my evidence for creationism is the seed. And male and female. And fruits and vegetables. And let me just say it — orgasms. And mother’s milk. I purposely chose all of these things because they speak of a creator who can design in ways that are inexplicable to evolutionists.